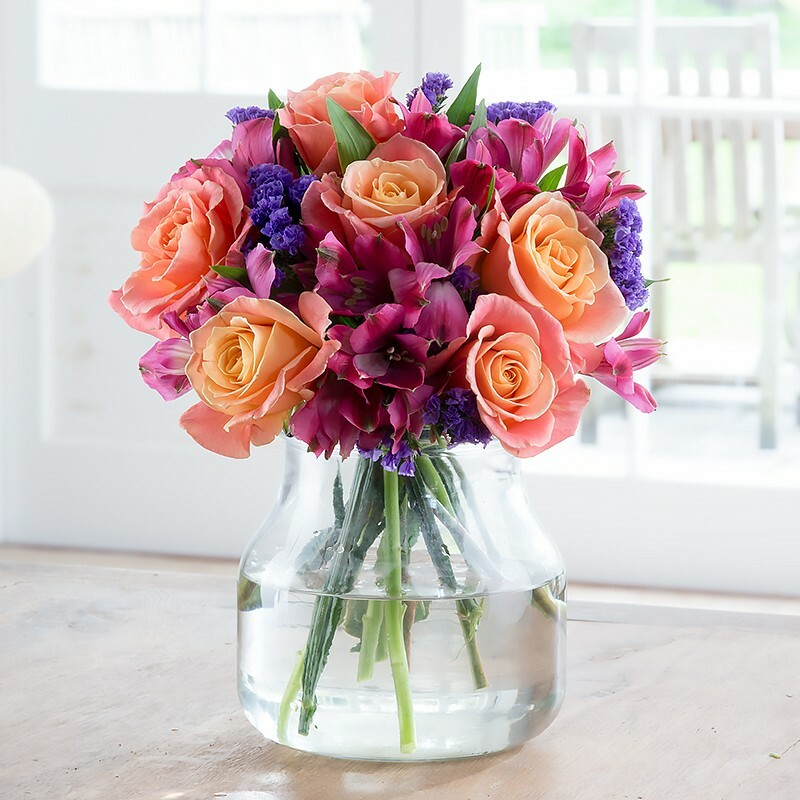 Add a pop of colour to any interior with this stunning array of peach miss piggy roses, fuchsia alstroemeria with cerise and midnight blue statice. Get 50% extra alstroemeria in this bouquet! Flower Freshness Guarantee: We guarantee that our flowers and planted arrangements will stay looking beautiful for at least seven days, or your money back. when an item is dispatched the night before delivery. Deliveries between 8am - 6pm Monday to Saturday. Many of the flowers arrived already in full bloom. Which for the statices are fine since they're quite long blooming. But the roses in particular were already in full bloom and I don't see them lasting long. Not sure if this was really a problem of the flowers themselves or if it's the courier; but the roses also had damp petals (disregarding the guard petals); and lot had to be peeled off to prevent moulding. Alstros were given aplenty - hence the 5 star value rating, and were in good condition (some were squashed; once again - not the fault of BG but probably the courier). Overall; I could probably replace the roses myself and still make a great bouquet with the amount of alstros given and the long lasting statices. Stunning bouquet! Delivered on time with great communication and the offer makes it excellent value for money!